But that’s what Former Deputy Assistant Director of the FBI Danny Coulson said when a news show anchor asked his initial thoughts during the ongoing reporting of the terror attack in Orlando, Florida early Sunday, as events continued to unfold there and the events were still very fluid. ‘A really tough day for America.’ In fact, it was the worst mass shooting in American history. It was the latest attack in the war jihadists have waged on us and the rest of the world that is not them. We need, our government and the international community needs, to understand this and not use other language and excuses for it. A terrorist who pledged allegiance to ISIS went on a rampage at a gay nightclub in Orlando, targeting gays. Only a day later, groups and spokespersons and leaders of organizations issued responses and statements to denounce and blame others – Christianity and ‘extreme masculinity’ among other target groups – without seeing the irony of targeting groups who were not them. This provides us the opportunity crises usually do to pull together as a unified body of citizens, within a community and nation, and globally a union of people of goodwill, to stand for the good and resolve to remove the evil, which is at work everywhere to remove us in its path to power. Profiles of the attacker continued to add details, including that someone who knew him said ‘he hated gays, women, blacks, Christians…’ Groups that use this attack to blame other groups in America only lend support to the terrorist group to which this attacker and the San Bernardino attackers and the Fort Hood attacker and others have done, by pledging allegiance to ISIS to destroy everyone who is not them. Influencing distant attackers to pledge allegiance to the Islamic State and then carry out mass murder has become a core part of the group’s propaganda over the past two years. And how are they doing this, generating this propaganda? They are masterful at using social media to appeal to, recruit and indoctrinate young men (and women) to their ideology and militant cause. There’s only one way to go after this, and that is the Osama bin Laden theory – and he knew about jihadism – of the strong horse and the weak horse. I think…ultimately, the only way to decrease recruitment is not with logic, not with argument, not with really clever programmers who know how to do Twitter. It is by defeating the jihadists or showing them retreat. These movements only grow when they have a sense of inevitability and growth. Once they’re in retreat, people stop recruiting. They’re not going to die in a suicide attack for a movement that is not advancing. And that means attacking ISIS where it is. Showing them in retreat means changing policy to put them into retreat, then using social media to show that they’re not winning and not growing, anymore. It’s time to make it a really tough day for the terrorists. Every attack in recent years was said to be a ‘game changer’. But it never was. It’s time for the end game now, before more mass casualties of innocent civilians, more genocide in other lands farther away, while there is new resolve. What comes after the Paris demonstration for unity against terrorism? Will it be a new direction, or a short term distraction? The massive rally in France drew European leaders together with a defiant and determined population in response to last week’s lethal attacks there by Islamic radicals. As big as it was, it was still little and late. It was trending, live in Paris and on social media, the thing to do at the moment. It was impressive to witness and encouraging to consider the opportunities this moment in history presents. Still, in these days in the immediate aftermath. But look with the longer lens. Why is free speech so fierce a battle cry now? The sudden, vicious and terrifying attacks on a publication in France started this new wave of international unity for free speech. Pens have become emblematic of this revolution against violent extremism that seeks to destroy free expression of ideas repulsive to the terrorists. But it took this week of terror to come to this unified stand against radical extremism. Before this, even the threat of such violence worked to stifle free speech, as Nina Shea has said time and again, and most recently here. What lesson will Europe draw from the Charlie Hebdo massacre? Will it get serious about ending Muslim extremism within its borders, or will it try even harder to curb offensive political cartoons and speech about Islam? Up to this point, Europe has responded to Islamist violence in retaliation against ridicule, and even against sober critique of Islam, by taking the latter course. Europe was frightened and wanted to cool down its angry Muslim populations and appease the censorship lobby that claims to represent them in the 56-member-state Organization of Islamic Cooperation. Since 2004, it had seen the assassination of Theo van Gogh in an Amsterdam street for his and Ayaan Hirsi Ali’s film on abuses against Muslim women; worldwide Muslim riots and economic boycotts over an obscure Danish newspaper’s caricatures of the Islamic prophet Mohammed; and yet more rioting and murders after Pope Benedict presented a paper to an academic audience at Regensburg University that questioned Islam’s position on reason. The subjective hate-speech laws were intended to placate those — including Iran’s Ayatollah Khomeini, who in 1989 issued a fatwa against novelist Salman Rushdie — who demand that Europe police its own citizens for conformity to Islamic blasphemy codes. European leaders insisted that this could be accomplished while somehow still upholding Western principles of free speech. These hate-speech laws have failed in both aims. Islamist extremism continues to grow in Europe, while speech critical of Islam is undertaken at ever greater personal risk, including risk of criminal prosecution. Some are so intimidated that they remain silent even when it is their duty to speak up. And so on. Read Nina Shea’s whole article. She’s an expert on persecution and terrorism against minorities, and continually shines the spotlight on hard truths that slip into obscurity if not recalled as she does so often. NRO’s Andrew McCarthy makes the same case, about what has happened for years when the fundamental principles, liberties and essential identities of Western nations were threatened by radical extremists opposed to their core values and being. What is the response of Western governments, particularly in the United States — the leader of the free world, whose government was formed for the primary purpose of protecting our God-given fundamental liberties, including the right to free expression? Surely we know this as a knee-jerk response by now. Was that clear enough? Since we can’t make the law prohibit critical examination of Islam, we hereby endorse coercion. It wasn’t long afterwards that four American officials, including the U.S. ambassador to Libya, were murdered by jihadists in a terrorist attack on Benghazi. Almost all of the terrorists are still on the loose, but Secretary Clinton, President Obama, and their underlings took pains to blame the attack, falsely, on an anti-Islamic video. In particular, they choreographed a high-profile jailing and prosecution of the video producer. That was shameful then, all the more culpable now for probably emboldening radical jihadists. This Wall Street Journal editorial continues the point. Consider it carefully. Wednesday’s massacre, following a long string of plots foiled by police in the U.K., France and elsewhere, is a reminder that jihadism isn’t a distant Middle Eastern phenomenon. There will be many more such attempts at mass murder, and authorities in the U.S. and Europe need broad authority to surveil and interrogate potential plotters to stop them. won’t shrink from using more destructive means to impose mass casualties. Better to collect metadata and surveil some people now than deal with public demand for mass Muslim arrests or expulsions after a catastrophe. Wednesday’s attack also demonstrates again that violent Islam isn’t a reaction to poverty or Western policies in the Middle East. It is an ideological challenge to Western civilization and principles, including a free press and religious pluralism. The murder of Charlie Hebdo cartoonists is merely the latest evil expression of a modern arc of Islamist violence against Western free speech that stretches back to Ayatollah Khomeini ’s 1989 fatwa calling for the killing of novelist Salman Rushdie. There are the reminders again. How quickly we forget atrocities when the cameras go away and the headlines move to other news. Or fail to cover atrocities at all. Like the story I heard Saturday on the BBC about a 10 year old girl strapped with explosives and sent into a busy market in Nigeria. The bomb exploded in a market in the city of Maiduguri, in Borno state. 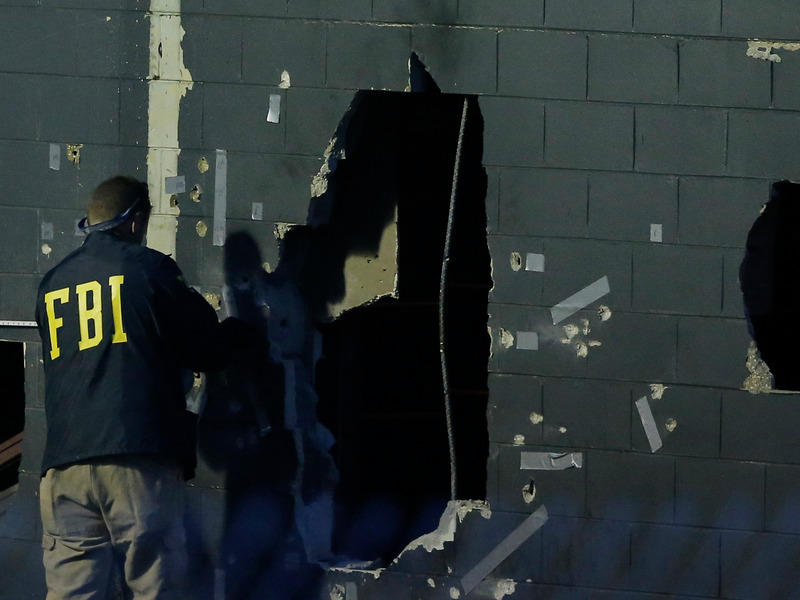 “The explosive devices were wrapped around her body,” a police source told Reuters. No group has said it carried out the attack. The market is reported to have been targeted twice in a week by female bombers late last year. Correspondents say that all the signs point to the militant Islamist Boko Haram group. They have been fighting to establish an Islamic caliphate in the north-eastern states of Borno, Yobe and Adamawa, which have borne the worst violence in their five year insurgency. Where and when did you hear of this, if at all? Have you heard about the attack carried out by Boko Haram after that one? The horrific “deadliest massacre” to date, in the words of Amnesty International? Reporting in northern Nigeria is notoriously difficult; journalists have been targeted by Boko Haram, and, unlike in Paris, people on the ground are isolated and struggle with access to the internet and other communications. 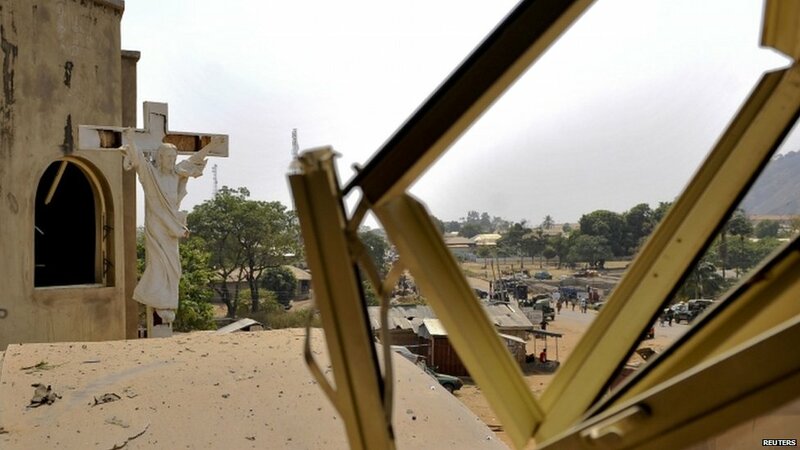 Attacks by Boko Haram have disrupted connections further, meaning that there is an absence of an online community able to share news, photos and video reports of news as it unfolds. But reports of the massacre were coming through and as the world’s media focused its attention on Paris, some questioned why events in Nigeria were almost ignored. If the unity rally was to be a consequential tipping point – and I believe it was intended as that and has the potential to be that – then it has to quickly spawn groups resolved to focus global attention on all the atrocities committed by violent extremists against innocents, and ready to direct relief, aid and protection to those children, women and elderly innocent people especially endangered by them. Citing a history of relentless conflict, marking the centennial of the start of WWI, Pope Francis noted the ways humanity actually may be in early stages of the third World War. The Pope on Saturday morning celebrated Mass at the Italian Military Memorial of Redipuglia. The area was the scene of fighting between Italy and the forces of the Central Powers during the 1914-1918 conflict. “There are tears, there is sadness. From this place we remember all the victims of every war,” Pope Francis said during a homily at a Mass for the fallen and victims of all wars. He called war “madness” and “irrational” and said its only plan was to bring destruction. “Greed, intolerance, the lust for power…. These motives underlie the decision to go to war, and they are too often justified by an ideology; but first there is a distorted passion or impulse,” said the Pope. Francis celebrated Mass at this Military Monument at such a poignant time, the atmosphere was heavy, the pope’s remarks challenging and provocative. The first reading narrated the story of Cain and Abel, and in his homily the Holy Father commented on the murder of Abel to condemn indifference in the face of war. He has called out the “globalization of indifference” often since he first used that term in his first apostolic journey outside Rome as pope at a Mass in Lampedusa, a destination of hope for refugees seeking safety and a new life, but one not reached by so many who perished along the way. “Above the entrance to this cemetery, there hang in the air those ironic words of war, ‘What does it matter to me?’ All of the dead who repose here had their own plans, they had their own dreams, but their lives were cut short. Why? Because humanity said, ‘What does it matter to me?’. Even today, after the second failure of another world war, perhaps one can speak of a third war, one fought piecemeal, with crimes, massacres, destruction. In all honesty, the front page of newspapers ought to carry the headline, ‘What does it matter to me?’. Cain would say, ‘Am I my brother’s keeper?’. Right. What’s happening now is deeply disturbing and should be for all civilized humanity. And it is on some front pages. But so much space on those pages is filled with politics and scandal and cultural distraction. Stop, Francis says. Pay attention. “It is the task of the wise to recognise errors, to feel pain, to repent, to beg for pardon and to cry. With this ‘What does it matter to me?’ in their hearts, the merchants of war perhaps have made a great deal of money, but their corrupted hearts have lost the capacity to weep. Cain did not weep. He was not able to weep. The shadow of Cain hangs over us today in this cemetery. It is seen here. It has been seen from 1914 right up to our own time. People rooted in one political ideology or another will read that according to how it fits their ‘narrative’ and backs their party politics. But he’s talking about global humanity, and calling out the inhumanity. I heard a news report Monday of how wealthy ISIS has become, how much they control in oil fields and banks they’ve seized, and how they tap into that to provide for the ‘army’ and the ‘state’ they have built in trying to erect a caliphate and run a military operation, one that holds daily executions in the public square in some places, according to a BBC report I heard over the weekend, and the very public beheadings of western journalists and relief workers, among other ongoing atrocities they’re committing. “With the heart of a son, a brother, a father, I ask each of you, indeed for all of us, to have a conversion of heart: to move on from ‘What does it matter to me?’, to shed tears: for each one of the fallen of this ‘senseless massacre’, for all the victims of the mindless wars, in every age. Brothers, humanity needs to weep, and this is the time to weep”. We have to know the enemy we’re confronting. How close are we to that task? Thirteen years after 9/11/2001, not close, it appears. The president finally steps up to act. There are at least as many questions about what he says as shows of support for it. The beheadings of two U.S. captives by Islamic State have steeled lawmakers to the need for more military action, and both Democratic and Republican congressional leaders were supportive of Obama’s plan on Wednesday. But some Republicans in particular say they want more information from the administration about its wider strategy to combat global terrorism, and many would prefer a broad vote rather than one focused on funding. The White House has said Obama does not believe he needs Congress’ formal authorization to attack Islamic State. Obama flatly said–sure, in the midst of saying he has already won congressional support for doing this (war against ISIL)–that he has the authority to do this. Period. I want a president who openly says, “Look, here’s a law on the books, and when I can abide by it without compromising our security I will, and thus I will go before Congress as the statute says, and thus seem to need its after-the-fact ratification of my decision to go to war, but this is not one of those cases, so I’m going to ignore this unconstitutional law.” Or, I want one who says, “I intend to obey the War Powers Act, because it’s law, and it’s constitutional.” Or I at least want one who says, “Hey, opinions on the constitutionality of the law are divided, and I’m going to consult Congress as much as I can and make the decision about whether to abide by its timetables only when the deadline comes.” But this blank “I have the power” talk telegraphs contempt for the intelligence of the American people, and for their duty to know their Constitution. Of course, a public that accepted that duty would cause problems for Obama in other areas. Yes, really. Even, and especially, support from moral leaders in the Democratic Party. And leading voices in media who join them in calling for relief from the onslaught of evil. Kathryn Jean Lopez covers that in this post at National Review Online. But that circles back to the question at the beginning, do we, or does the administration, know the enemy? Because the public is seeing the brutality and threat of this manifestation of totalitarianism. If we are to defeat the violent Islamist radicals who are today threatening the world, we must shine the brightest of spotlights on this malignant idea at the heart of their ideology. And we must counter it, not just with the force of arms, but with a compelling defense of the anti-totalitarian idea of morally ordered freedom. Give fanatical leaders and movements absolute and permanent authority. Make these leaders and their followers into virtual gods, charged to take control of history and transform humanity itself. Release them from accountability to any law and institution, belief and custom, moral norm and precept. Grant them complete control of every facet of human existence, from outward conduct to the innermost workings of conscience and belief. The rise of this extremist ideology to prominence coincided with a deep crisis of faith that engulfed Europe after the carnage of World War I nearly a century ago. In response to this crisis, totalitarianism – initially in communist and fascist forms – rose to fill the void. Its vision amounted to the state’s replacing God as central to all things, while anointing certain people and their movements as humanity’s new leaders, deserving the ultimate powers once reserved for the deity. For the better part of a century, totalitarianism has donned its share of masks and hijacked key vehicles in its efforts to subjugate the world…. The same totalitarian impulse that drove Nazism and communism has hijacked religion as its latest vehicle, creating radical Islamism. From ISIL to Iran’s mullahs, and from al-Qaeda to the Taliban, these new totalitarians pose similar threats to freedom, dignity, and peace. Displaying characteristic contempt for the rule of law and the crucial distinction between combatants and noncombatants in the conduct of war, they have deliberately targeted civilians and resorted to mass murder, precisely as the Nazis and Communists did. the struggle we face today does not pit one religion against others, nor is it a battle of religion against humanity; rather, it is a struggle pitting lawlessness and tyranny against freedom and dignity. The irony is that this time it is being trotted out in religion’s name. In this struggle, Muslims have a duty to their faith and to humanity to stand resolutely against Islam’s hijacking by people driven by the same diabolical impulse that unleashed the likes of Hitler, Stalin, and Pol Pot on the world. They must rip away its religious mask and reveal its idolatrous soul before the world. The religious ideology of this group must be understood to be addressed. But the president keeps sidestepping the Islamic factor in this battle of civilizations. The president and his spokesmen claim to not be at war with the extremists who declared war on the US. On its face, it seems like the administration is sending mixed signals. The president made a rather clear case for a long campaign aimed at rolling back the nascent Islamic State in Iraq and eventually confronting them in their Syrian stronghold. Sources have suggested that this is a mission which will likely outlast the Obama presidency. So why pull punches today? Josh Earnest made the administration’s thinking clear during his press briefing on Thursday in which he went to tortured lengths to insist that the Islamic State in Iraq and Syria and al-Qaeda were synonymous. Why? Well, claiming these two groups are the same would mean that the administration does not have to approach Congress for a new resolution authorizing use military force. Instead, the White House can point to the 2001 authorization targeting al-Qaeda, even though the White House had previously argued that the resolution was dated and should be repealed. “By trying to change its name, it doesn’t change who it is, what it does,” he added. Just don’t tell them that. “In a message posted on jihadi websites the al-Qaeda general command stated that its former affiliate ‘is not a branch of the al-Qaeda group [and al-Qaeda] does not have an organizational relationship with it and is not the group responsible for their actions,’” Time Magazine reported in February. The White House’s insistence that the present campaign is merely a continuation of George W. Bush’s War on Terror is unlikely to quiet the increasingly loud voices in Congress demanding a vote on a new authorization. Okay, well, even if we’re playing legal games with the word “war” and are trying to avoid the politics of getting the people’s representatives to sanction military action abroad, at least there is a plan for victory, right? “I didn’t bring my Webster’s dictionary,” Earnest replied. So while this nonsense has been going on, so has this. Read it and weep for her, and for her family and the countless other families of religious minorities in Iraq and other countries targeted by extremist Islamic actions to dehumanize or eliminate them. This is going on every day, like the other atrocities we’re hearing about, representing the countless others we don’t hear about. I had a US Congressman as a guest on my radio show this week to talk about this, Congressman Jeff Fortenberry. He has been a champion of humanitarian rights. Immediately after the program, listeners spoke up asking that his voice of clarity and leadership be posted online. It is on the network show page, and on the app. Here it is, in the first half of the show, on 9/10. Or in the podcast on the app. Around 15 minutes in, he’s compelling. We can do a lot. Complacency is not an option. The day after last Monday’s Boston marathon bombings, the former mayor who embodies the great big heart and soul of that great city was defiant and determined. They not only responded to the terror with great humanity that day he told me on Tuesday, they would come back stronger and in greater numbers for next year’s Patriot’s Day landmark event. Nobody could have yet known what the week would still hold for Bostonians, and how drained they would be by the end of it. But, thank God, it ended. It began at the marathon’s finish line, where former Mayor Ray Flynn enjoyed the day with his daughter and grandchildren as an annual event that went back to his younger days of running the marathon himself, when his own children waited at the finish line. Several of his grandchildren were near the explosion, thankfully uninjured physically. But it took a toll on everyone in other ways, especially little children. His family’s story probably speaks for everyone’s in and around Boston in some way. Like 8-year-old Martin Richard, who can’t have been too far away in the crowd, they were eating an ice cream and enjoying a great event for kids. You look at the photos from that day, and the crowd is full of children. Their innocent world took a sudden ugly turn when two deadly bombs exploded, and the streets were filled with the screams of terrified and injured people, and the sight of blood, people down, and people running. I had been there earlier, but left before the blasts. When my daughter Maureen Foley called me, I raced back to Copley Square and found my grandkids running down the street with hundreds of other frightened people. The look on their faces was not something I ever want to see again. There were a lot of kids there, they told me. It was difficult to calm them down or even begin to try to explain how anybody could do such a cowardly thing. The kids had a very difficult Monday night, still asking my daughter Maureen if any kids had died. When they heard about Martin Richard, like everyone who heard that news, they were all very upset. But kids believe in doing something, and it didn’t take long. They began texting their friends. Hundreds of calls and texts from young kids in their town, Braintree, began pouring in. The result? (Friday, at a public school) in Braintree, you will see a lot of caring young children and their parents — love growing where cowards had hoped to plant hate. The Braintree Patch, a local community newspaper, found out about it ahead of time and published this. On Marathon Monday, the Foley family sat in the bleachers near the finish line, cheering on Uncle Patrick, who was running for CarePacks, an organization that sends basic necessities to our troops, when the bombs went off. That’s just one more important aspect of all this to point out, that many runners participate in the grueling training and race itself on behalf of some charity. That’s a big part of the annual race and celebration. Maureen Foley and her four children – Michael, 10, Ava and Julia, both 8, and Flynn, 5 – have decided to take that experience and turn it into a positive, helping raise money for the Richard family, who lost their 8-year-old son Martin in the attack. Martin’s mother and sister were both injured. “Please come by, show your Braintree pride, and let the Richard Family know that we share their pain,” Foley said. Friday evening, Ray Flynn told me that over 2,000 people came and the children raised over $6,500 and donated it all to the Richard Family. We talked about the message of his good friend Cardinal Sean O’Malley, Boston’s Archbishop, at the ‘Healing Our City’ interfaith service at the cathedral the evening before. It can be seen here on Cardinal Sean’s blog and is well worth viewing and hearing. Every bit of it. He shared the message Pope Francis sent for the occasion. The Holy Father prays that we will be united in the resolve not to be overcome by evil, but to combat evil with good, working together to build an ever more just, free and secure society for generations to come. And yet the same tragedy brought us together as a community like nothing else ever could. The generous and courageous response of so many assures us that there resides in people’s hearts a goodness that is incredibly selfless. We saw that when summoned by great events we can be remarkably committed to the well-being of others, even total strangers. We become a stronger people, a more courageous people, and a more noble people. So much of this brief reflection Cardinal O’Malley gave spoke deeply to the way we live our public lives in America today, and Ray Flynn recalled growing up when messages like his were in the air he and his siblings breathed, the Fulton J. Sheen messages about sacrifice, prayer, pride. What Patriot’s Day has always represented, though the culture has gone off that track over time. This Patriots’ Day shakes us out of our complacency and indifference and calls us to focus on the task of building a civilization that is based on love, justice, truth and service. We do not want to risk losing the legacy of those first patriots who were willing to lay down their lives for the common good. We must overcome the culture of death by promoting a culture of life, a profound respect for each and every human being made in the image and likeness of God, and we must cultivate a desire to give our lives in the service of others. He had just returned from the Holy Land and referred to the Sermon on the Mount they had reflected on while in Galilee, which was recalled in prayer at the interfaith service last Thursday. And Cardinal Sean made a strikingly good point right then. Often in the Gospels, we can see the contrast between the crowd and the community. The crowd is made up of self-absorbed individuals, each one focused on his or her own interests in competition with the conflicting projects of others. A community is where people come to value each other, and find their own identity in being part of something bigger than themselves, working together for the common good. This is a soft and gentle challenge, or an encouragement if you will. In the face of the present tragedy, we must ask ourselves what kind of a community do we want to be, what are the ideals that we want to pass on to the next generation. It cannot be violence, hatred and fear. The Jewish people speak of Tikkun Olam, “repairing the world.” God has entrusted us with precisely that task, to repair our broken world. We cannot do it as a collection of individuals; we can only do it together, as a community, as a family. Like every tragedy, Monday’s events are a challenge and an opportunity for us to work together with a renewed spirit of determination and solidarity and with the firm conviction that love is stronger than death. He ended with the famous prayer attributed to St. Francis of Assisi known as the ‘peace prayer,’ and Ray Flynn laughed when he told me that somebody in the media remarked to him afterward “what a wonderful speech Cardinal Sean gave about peace.” Flynn enjoyed heartily that the media person had no idea those were the words of the famous Franciscan priest. The saint, in fact, who inspired the current pope to take his name. It was probably the best laugh Ray Flynn had all week, and possibly the only one. It was “relentlessly unnerving,” in the apt words of the Washington Post. One of the little girls at the lemonade stand was wearing a ‘Boston Strong’ T-shirt, already out before week’s end. That was the rallying cry of the week, and remains so. And the week ended with Cardinal Sean calling for reconciliation. Richard Paris, 54, a Boston firefighter and president of Local 718, came with his wife, Eileen Paris, 53, and their son, Michael Paris, 14. The family had many friends, including first responders who were on the scene when the bombs went off. Both husband and wife said O’Malley’s message hit home and reminded them of the importance of faith and compassion — even for the suspects. “The world’s got to get on one page,” Richard Paris said. Boston has started writing it, eloquently. This is getting more attention, finally. Warranted attention. The president’s apologists are doing their best to shut down any conversation and all investigation about what happened on 9/11 in Benghazi, Libya. Or to discount it when it comes out. That doesn’t change the facts. Speaking of facts, the Wall Street Journal editors devoted their entire editorial column to this on Saturday. The White House says Republicans are “politicizing” a tragedy. Politicians politicize, yes, but part of their job is to hold other politicians accountable. The Administration has made that difficult by offering evasive, inconsistent and conflicting accounts about one of the most serious American overseas defeats in recent years. Unresolved questions about Benghazi loom over this election because the White House has failed to resolve them. • Why did the U.S. not heed warnings about a growing Islamist presence in Benghazi and better protect the diplomatic mission and CIA annex? From the start of the Libyan uprising in early 2011, the Central Intelligence Agency built up an unusually large presence in Benghazi. By this September, two dozen or so operatives and contractors monitored Ansar al-Shariah and other militant groups. Deteriorating security after the war was no secret. U.S. intelligence noted militant camps in the mountains near Benghazi, including “al Qaeda leaning” fighters, according to Tuesday’s New York Times. In a House hearing last month, career State Department officials said various requests for security reinforcements to Libya were turned down. A 16-member special security team in Tripoli, the Libyan capital, was pulled out in August. The inability of Libya’s weak central government to protect American diplomats was overlooked.These revelations came from the career staff at State. Mr. Obama and Secretary of State Hillary Clinton have claimed “responsibility” for Benghazi, without saying precisely for what. During the second Presidential debate on October 16, Mr. Obama was asked: “Who was it that denied enhanced security and why?” He changed the subject. • What exactly happened on the day of 9/11? During the over six hours that the compounds in Benghazi were under siege, could the U.S. have done more to save lives? What was President Obama doing and ordering his subordinates to do in those fateful hours? An October 9 State Department briefing offered the first precise timeline, nearly a month later. There was no demonstration outside the consulate the evening of the 11th—”nothing unusual during the day at all outside,” a State official said. That may not be right. Early that morning, Embassy guards noticed a Libyan police officer in a building across the street “photographing the inside of the U.S. special mission,” according to a letter dated September 11 from the Embassy to the Libyan government, calling it “troubling.” The letter was discovered last week at the still unsecured compound by two journalists and published on Foreign Policy’s website Thursday. Why is this so sloppy? Why so much chaos and confusion? Keep asking the questions and the answers will come out. At 9:40 p.m. local time (3:40 p.m. EST), a security officer at the Benghazi consulate heard “loud noises” outside the gate and “the camera on the main gate reveals a large number of people—a large number of men, armed men, flowing into the compound,” according to the State Department timeline. Within half an hour, the consulate was on fire. At about 10:45 p.m., help arrived from the CIA annex about a mile away. The CIA offered its first account of that evening this Thursday night, nearly two months after the fact. Why? Why nearly two months after the fact? Where’s the communication and coordination among our services and the administration? The CIA briefers said the agency did not deny aid to the consulate. But the Journal reported on Friday that the CIA and State “weren’t on the same page about their respective roles on security” in Benghazi. So they’re all winding up on the same page in the WSJ because of this serious disconnect revealed only because of dogged pursuit by dedicated journalists other media and Obama apologists have tried to discount and demean and ridicule, to no avail. Mr. Obama was informed of the attacks at around 5 p.m.—11 p.m. in Libya—during a previously scheduled meeting with his military advisers, and he ordered military assets moved to the area, according to ABC News. During the attacks, however, the Administration didn’t convene the Counterterrorism Security Group, which was created to coordinate a response to a terrorist attack, according to a CBS News report. Late last week, Mr. Obama was twice asked by a local Denver television anchor whether Americans who asked for help in Benghazi were turned down by the chain of command. He didn’t answer. Why not? What is he dodging? The Journal editorial board considers the facts. Yet it’s still reasonable to ask why the U.S. wasn’t prepared for such a contingency. Since 9/11 (of 2001) the U.S. has been at war with the people who attacked in Benghazi, even though many liberals don’t like to say so. One of them is the current Commander in Chief, who still refuses to talk about his Administration’s response to his 9/11. Mr. Obama has made the defeat of al Qaeda a core part of his case for re-election. Yet in Benghazi an al Qaeda affiliate killed four U.S. officials in U.S. buildings, contradicting that political narrative. The President may succeed in stonewalling Congress and the media past Election Day. But the issue will return, perhaps with a vengeance, in an Obama second term. The episode reflects directly on his competence and honesty as Commander in Chief. If his Administration is found to have dissembled, careers will be ended and his Presidency will be severely damaged—all the more so because he refused to deal candidly with the issue before the election. America has since closed the Libya diplomatic outpost and pulled a critical intelligence unit out of a hotbed of Islamism, conceding a defeat. U.S. standing in the region and ability to fight terrorist groups were undermined, with worrying repercussions for a turbulent Middle East and America’s security. This is why it’s so important to learn what happened in Benghazi. Thanks to journalists who are asking the important questions, and those who know the answers speaking out, like Lara Logan, we may learn sooner rather than later. Power. Not a ‘dopey’ short video, which few rioters likely even saw. That’s the sentiment of a few bold analysts I’ve heard who were willing to step outside the press corral. And the paraphrase of thoughts buried somewhere deep in this analysis piece by Andrew McCarthy at NRO. “The Embassy of the United States in Cairo condemns the continuing efforts by misguided individuals to hurt the religious feelings of Muslims.” So declared the Obama State Department in a statement issued on the website of its Egyptian embassy. At the time, it was clear that another episode of Muslim mayhem was imminent. The statement is a disgrace, just as Mitt Romney said it was. It elevated over the U.S. Constitution (you know, the thing Obama took an oath to “preserve, protect, and defend”) the claimed right of sharia supremacists (you know, “Religion of Peace” adherents) to riot over nonsense. Further, it dignified the ludicrous pretext that an obscure, moronic 14-minute video was the actual reason for the oncoming jihad. Here is the important part, however, the part not to be missed, no matter how determined the president’s media shysters are to cover it up: The disgraceful embassy statement was a completely accurate articulation of longstanding Obama policy. In point of fact, the embassy’s statement perfectly reflects the views of the United States government under Obama’s stewardship. It is anathema to most Americans, but it has been Obama’s position from the start. I’ve saved a handful of good news items on this violent outburst, but McCarthy lays it out best here and the points he makes need attention. In its detail. Which is little known. In 2009, the Obama State Department ceremoniously joined with Muslim governments to propose a United Nations resolution that, as legal commentator Stuart Taylor observed, was “all-too-friendly to censoring speech that some religions and races find offensive.” Titled “Freedom of Opinion and Expression” — a name only an Alinskyite or a Muslim Brotherhood tactician could love — the resolution was the latest salvo in a years-long campaign by the 57-government Organization of the Islamic Conference (now renamed the “Organization of Islamic Cooperation”). The OIC’s explicit goal is to coerce the West into adopting sharia, particularly its “defamation” standards. Sharia severely penalizes any insult to Islam or its prophet, no matter how slight. Death is a common punishment. And although navel-gazing apologists blubber about how “moderate Islamist” governments will surely ameliorate enforcement of this monstrous law, the world well knows that the “Muslim street” usually takes matters into its own hands — with encouragement from their influential sheikhs and imams. In its obsession with propitiating Islamic supremacists, the Obama administration has endorsed this license to mutilate. In the United States, the First Amendment prohibits sharia restrictions on speech about religion. As any Catholic or Jew can tell you, everyone’s belief system is subject to critical discussion. One would think that would apply doubly to Islam. After all, many Muslims accurately cite scripture as a justification for violence; and classical Islam recognizes no separation between spiritual and secular life — its ambition, through sharia, is to control matters (economic, political, military, social, hygienic, etc.) that go far beyond what is understood and insulated as “religious belief” in the West. If it is now “blasphemy” to assert that it is obscene to impose capital punishment on homosexuals and apostates, to take just two of the many examples of sharia oppression, then we might as well hang an “Out of Business” sign on our Constitution. The Obama administration, however, did not leave it at the 2009 resolution. It has continued to work with the OIC on subordinating the First Amendment to sharia’s defamation standards — even hosting last year’s annual conference, a “High Level Meeting on Combatting Religious Intolerance.” That paragon of speech sensitivity, Secretary of State Hillary “We Came, We Saw, He Died” Clinton, hailed as a breakthrough a purported compromise that would have criminalized only speech that incited violence based on religious hostility. But it was a smokescreen: Speech that intentionally solicits violence, regardless of the speaker’s motivation, is already criminal and has always been exempted from First Amendment protection. There is no need for more law about that. Important lesson here. Tough for some skewed cultural sensibilities, but it remains the reality. The First Amendment permits us to criticize in a way that may provoke hostility — it would be unconstitutional to suppress that regardless of whether the law purporting to do so was civil, as opposed to criminal. That is precisely what the Egyptian mob was about to do when the U.S. embassy issued its statement. The Obama administration’s position? The president endorses extortionate “peer pressure” and “shaming,” but condemns constitutionally protected speech. That’s exactly the message the embassy’s statement conveyed. Mind you, what is playing out in Egypt — as well as Libya, Yemen, and Tunisia — is a charade. It has nothing to do with the dopey movie. There is as much or more agitation to release the Blind Sheikh — which the Obama administration has also encouraged by its embrace of Islamists, including the Blind Sheikh’s terrorist organization. The latest round of marauding is about power. Can you imagine the current incumbent, the guy sworn to defend the Constitution, ever saying such a thing — or, better, saying it and actually meaning it? Me neither. It will be remembered as the moment the race for president finally became about the real job of a president. President Obama’s comments are, of course, listened to carefully around the world. What he’s been saying doesn’t sound like commanders-in-chief who have gone before him. Slips of the tongue, or revealing ideology? No other American president has ever taken such a frankly apologetic stance about American power. Whether we like it or not? These are the words of the first nuclear pacifist to sit in the White House. Not even the famously invertebrate Jimmy Carter was so willing to bow to the despots of the world while publicly wringing his hands over Americaâ€™s power and purpose. We’ve been hearing a lot in the press this past week the phrase ‘war of words’, mostly related to President Clinton and Rush Limbaugh, and media sycophants just keep repeating what they’re hearing from each other. But this piece looks at another sort of conflict and what it’s communicating. And in one of the most important speeches of his presidency, Barack Obama omitted a term that was the Bush administrationâ€™s obsession, terrorism, as part of a larger effort to de-emphasize the issue in Americaâ€™s relations with Muslim states. Diplomats, academics and foreign leaders are hotly debating whether Obama, who won the White House promising dramatic change in U.S. foreign policy, has actually substantively changed much. But thereâ€™s little question that he has made a pronounced shift in how the U.S. talks about the rest of the world â€” and in a way that has opened him up to charges of being soft toward Americaâ€™s enemies. Sen. Joe Lieberman (I-Conn.) was so incensed at the administrationâ€™s recent decision to end its use of the phrase â€œIslamic extremismâ€ that he fired off a letter to Obamaâ€™s top counterterrorism adviser, John Brennan. Lieberman worries that if Obama doesnâ€™t confront the true nature of the threat, he canâ€™t stop it. â€œThe failure to identify our enemy for what it is â€” violent Islamist extremism â€” is offensive and contradicts thousands of years of accepted military and intelligence doctrine to â€˜know your enemy,â€™â€ Lieberman wrote, later calling the decision â€œabsolutely Orwellianâ€ in a TV interview. Rule 11: Pick the target, freeze it, personalize it, polarize it. Donâ€™t try to attack abstract corporations or bureaucracies. Identify a responsible individual. Ignore attempts to shift or spread the blame. So to recap the past year, President Obama has personalized and polarized Fox News, Sean Hannity, Rush Limbaugh, certainly the Republicans, people who ‘cling to their guns and religion’, and all sorts of American institutions. He’s even picked on the Cambridge police and the Supreme Court justices.